This valuable collection of essays, The Albrecht Papers, Vol. VI, reveals the insights of a brilliant soil scientist who was ahead of his time in connecting the relationship between soil, plants and animals. Read about Albrecht's substantiated theory and observation that insufficient soil fertility was responsible for poor crops, weeds and thereby a poor diet for the cow in terms of her food choice and her output. 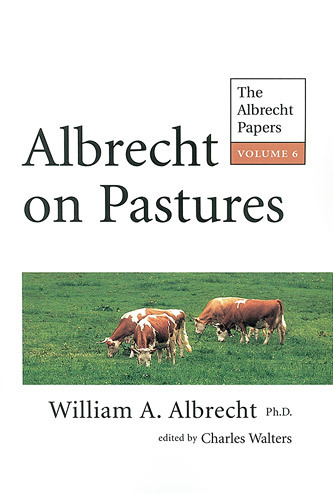 Albrecht's work provides an indispensable foundation for anyone interested in sustainable, ecologically responsible agriculture - his teachings are more critical today than ever.